A pile of ironing has been sitting out in our home for over three days now. I am responsible for doing it, but somehow I mysteriously hadn’t noticed the places where Gorgeous left it for me. After having it sit on the edge of the sofa overnight, she moved it back into the bedroom to do herself. In hindsight, I do think the pile added a certain feng shui in our living room. I haven’t told her this yet because I suspect she’s not ready to hear about my sudden interest in Chinese art and science. But I do think it’s a pity that my attempt to forge a harmonious environment is rejected. Perhaps I should have just done the ironing rather than avoiding it. I’m a little out of practice in prioritizing my day. Time management isn’t really a concept that I need to think much about anymore. I was big on lists back when I worked in the office. Before leaving each evening, I would hand-write a “to-do” list that sat out on my desk for the next morning. Items that were important were given a star. More important items were given TWO stars. It was severely low tech. My nemesis, the Office of Personnel Management, remains completely silent to a query that I’ve made about a calculation to my annuity. A woman there said that she’d back to me with an answer. That was over three weeks ago. A sister of mine recently said that she’d call me “stat” (her word), and I’m still waiting for the call. This has happened before. Once again, an errant promise is a substitute for false sincerity. In spite of actually returning a book on time to the public library, we are getting e-mails threatening us with a $22 fine unless we cough up the missing book. The staff there seems unwilling to acknowledge the Catch 22, and they are no longer responding to our emails or phone calls. Wouldn’t it be funny if it actually was the Joseph Heller book that’s supposedly missing? Inspired by Richard Nixon’s “Enemies List,” my mother used to create an imaginary one of her own that she called her Dreck List. In her honor, I am establishing my own Dreck List starting with the above. Generally I have the patience of Job and will wait for as long as it takes for someone to finally get back to me. With the exception of businesses and institutions, to whom one does ultimately have to become a pest to achieve any kind of result, my basic feeling is that if you have to force someone you know personally to pay attention to you, it is going to result in a less than satisfying interaction. Some people achieve a kind of revenge by “giving as good as getting” on those who ignore or avoid. But for me that only brings on more stress. There’s a cocktail waiting for me most days at 5:00pm, and I know it along with some Dr. Lonnie Smith on the stereo will wash away the frustrations created by others. I am, though, quite punctual about returning phone calls and responding to e-mail messages. I expect people to give me that same courtesy, and I do feel that not doing so is rude behavior. The same sister who isn’t returning my calls is also prone to dominate our conversation when we do finally speak. She’ll start by enumerating a list of complicating factors in her life. This takes place in nearly every phone call I eventually have with her. When I can finally get a word in edge-wise, I notice an unmistakable pregnant pause on the other end of the line after I finish speaking. I can visualize her thinking something along the lines of, “I hear words coming out of his mouth, and at some point his quaint little anecdote will finish.” She has a caricatured view of her brother that is at least 40 years old. The vibe I get from her is that her world is VASTLY more important than mine, and her problems are upsetting in ways that I could never understand. Aging and becoming grayer doesn’t really end a sibling rivalry. 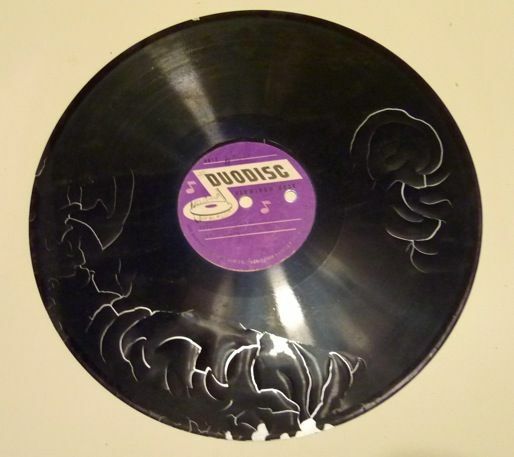 We’re just older now, and I am still the brother who ruined her copy of Rubber Soul by leaving it on the radiator to melt when I was nine years old. In the course of writing this post, we received a call from the library to inform that they did yet another shelf-check and the book was found. Hallelujah! We can once again move about the community without the stigma of being labeled as unscrupulous library thieves. I did have a fantasy of the library cop from Seinfeld coming to our home and grilling us about both the missing book and whether we had any instant coffee. Nonetheless I’m glad that we were exonerated. That is at least something that I can now cross off my list. Later today I will sneak into the bedroom and fetch the pile ‘o ironing. I gotta keep up with my chores, lest I be labeled an “avoider” in my own home. I live by very simple rules. Return your books on time, respond to my e-mails, and call me when you say you will. Stay off of my Dreck List, please. 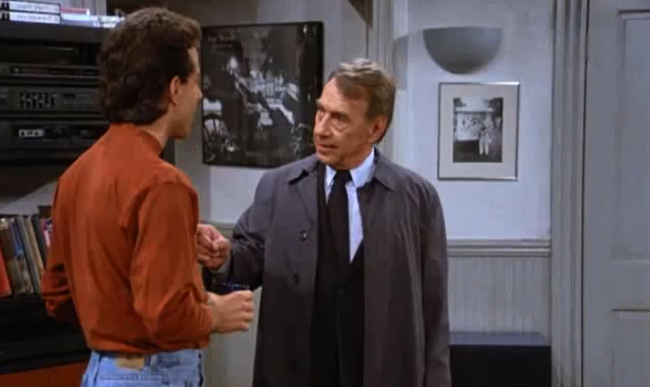 Mr. Bookman the library cop with Jerry Seinfeld. My favorite Seinfeld book show was the one about reading a book at a bookstore in the bathroom. Hysterical. There are signs in our local Barnes and Noble that it’s not allowed! I rarely buy things that need to be ironed and if I do, they sit for weeks. My husband wisely takes his shirts to the laundry. He’s fussy and likes them starched (and we all know I wouldn’t do that!). Thank God for wash and wear! 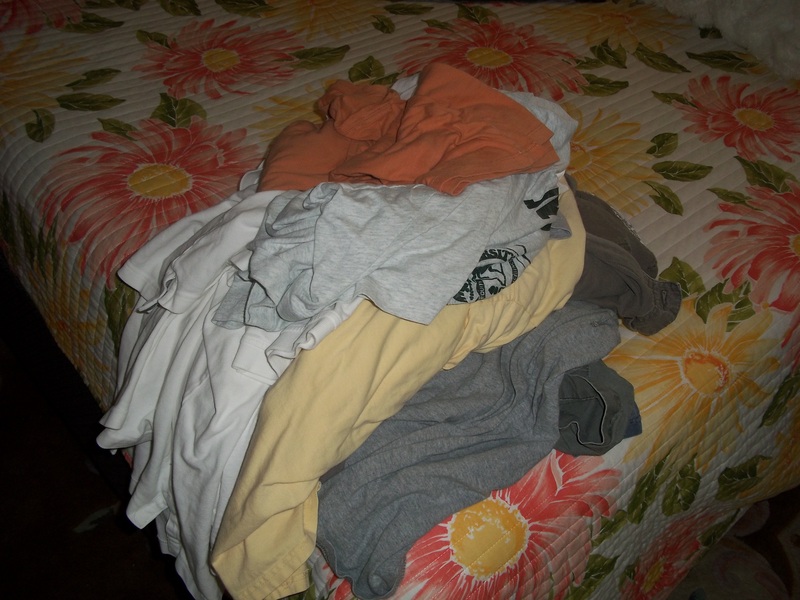 The trick is to get things out if the dryer immediately, shake them, then fold. But we never do that. :). For some unknown reason I actually LIKE ironing. I have my own Seinfeldian habit: Shoelaces get tossed if they flop over my shoes and onto a floor in gross bathrooms! A scary full-disclosure: I actually LOVE ironing. I know! I forgot Uncle Leo. A great character! He played basically the same guy on Everybody Loves Raymond, too. I think I became allergic to ironing (*giggle*) after spending years of ironing my father’s uniforms throughout my childhood. I become so good at that task that I was then assigned the ironing for the entire household of five kids and two adults. I’m guessing by the time I left home, got married, had kids, and ironed everything in-between, by the time I got to my fifties, I decided I had had enough. I do keep an iron around for guests, and for craft projects, but not much else. Let’s just say it’s about ten years old, and still looks brand new! I am now successfully iron free… Shhh , don’t tell mom! Good for you! I promise this will stay between you and me. It seems we all have those ‘irregular people’ in our lives. One of my bug bears is people who leave messaging (whether on Skype or SMS) part way through the conversation. We are trying to coordinate accommodation (across three countries) for a family wedding and one party joins in and contributes and then at the critical moment departs, not to re-emerge. Do we proceed without him? Will he think we don’t care? (At this point we don’t) Does he want to do his own thing? (Tell us and we can stop trying to second guess). Email him I hear you say. We do, regularly with lovely updates, and the usual response is … Cool … no salutation, no further communication just one word. He does it to my adult children who are trying to establish a connection with their only uncle.